Ebook $4.99 Download Ebook instantly! What do locking neighbors in their house on trick night, chicken farming, the first Zippy, a dark room in Addis Ababa, Ethiopia, transforming airline pilot training, improving GPS, owning a B&B, and Aviation Advisor at the White House on 9/11 have in common? 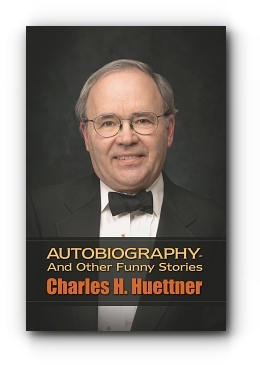 They are all part of a long history of fascinating and often humorous stories in the life of Charles Huettner. Laugh and experience vignettes of his amazing life and learn a bit about how God and the government work from behind the scenes. You will get a glimpse of the humor and intrigue he experienced during 33 years in the USAF, FAA, NASA, and the White House. You will read about his adventures while at Mt. Lebanon High School, the University of Akron, and Harvard. He piloted a supersonic T-38 jet to 50,000 feet, flew a hot air balloon at 700 feet over Atlanta Hartsfield Airport during airline rush hour, experienced the transition between the Clinton and Bush Administrations in the White House, and toured the world with astronaut Buzz Aldrin, astrophysicist Neil deGrasse Tyson, and former Congressman Bob Walker. Come along to laugh and experience the amazing life of Charles Huettner. A fresh and inspired non-fiction Bible study guide to "Revelation". Five keys and Jesus' words from across the Bible unlock its mysteries. The result is a spiritual journey, a different interpretation, and a change in the dialogue about "Revelation". Ties Bible, scholarly research, and the Spirit’s work in lives. Charles is a pilot, served as a Colonel in the USAFR, a B-747 FAA inspector, a government senior executive, the aviation advisor in the White House on 9/11, and has a B.S. Degree from the University of Akron, a Masters from Harvard, and a Diploma from the Virginia Theological Seminary.